2 post in one day??? 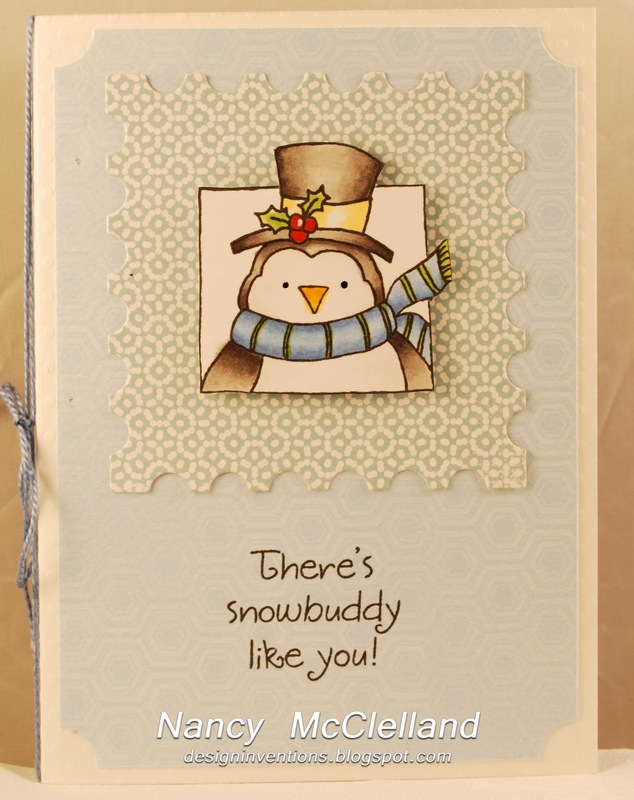 This is another one of those quick cards I made over the weekend after I pulled the Christmas supplies out of the closet. 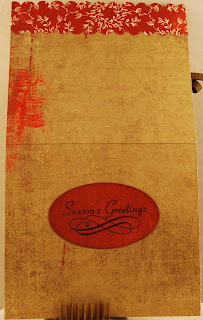 The stamp is from Stampin UP! 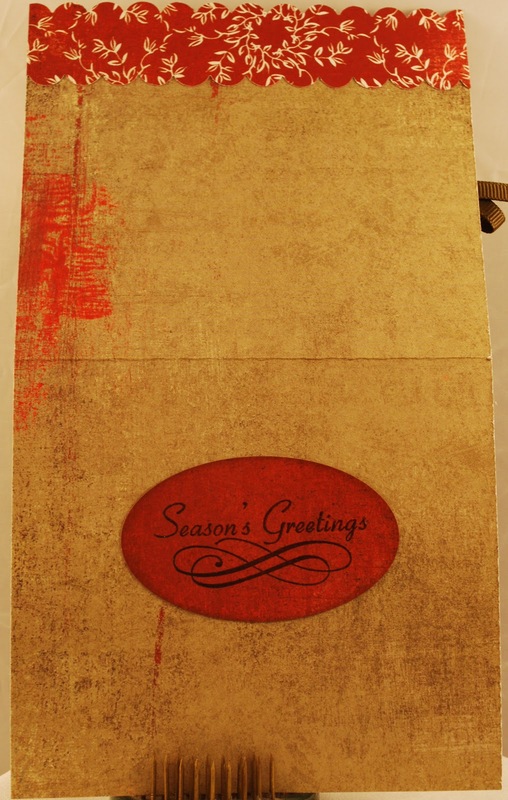 and was gold embossed on white paper. 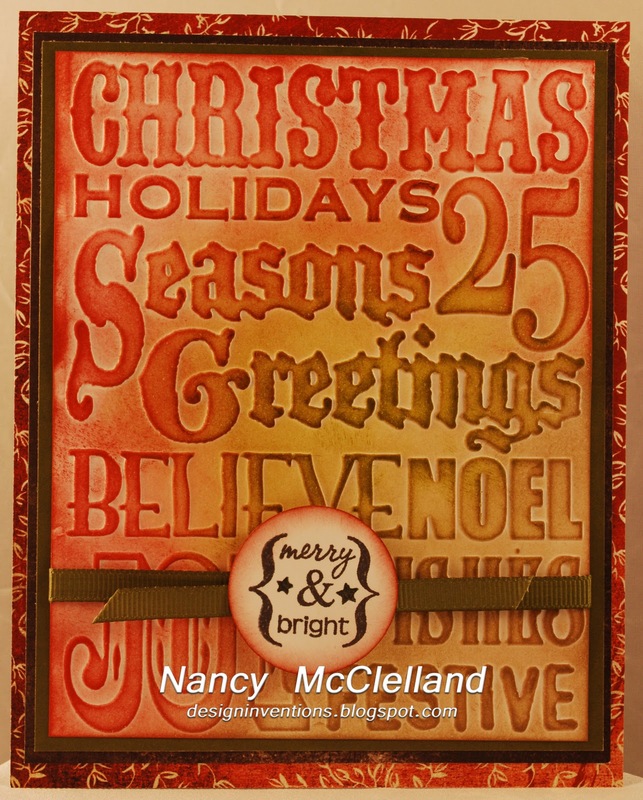 I used Ranger Distress Ink on the image to add the dimension. The paper I used has a vintage look with the small print and colors. 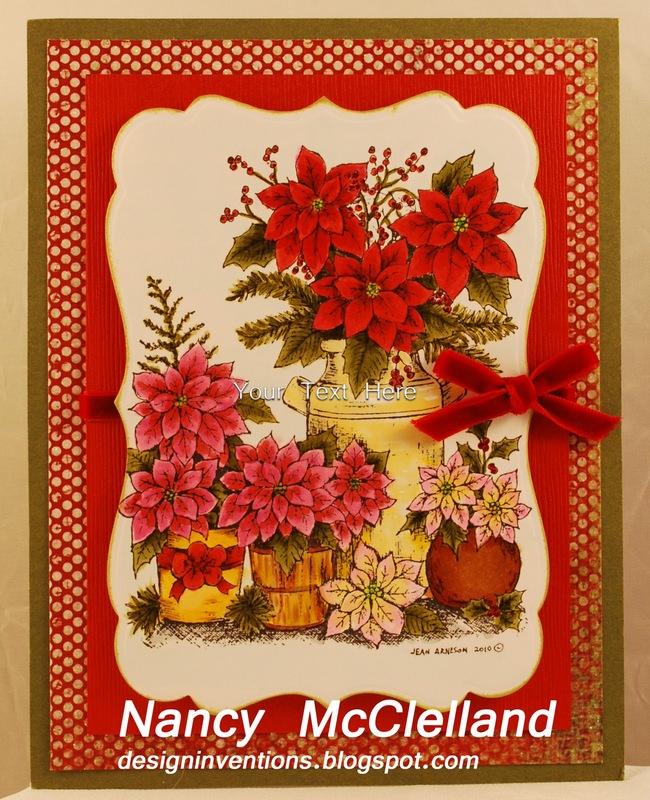 I also have posted the image of the inside with the simple sentiment and the red pattern scallop trim at the top. Once again let me know if you have any questions. Have a great night. 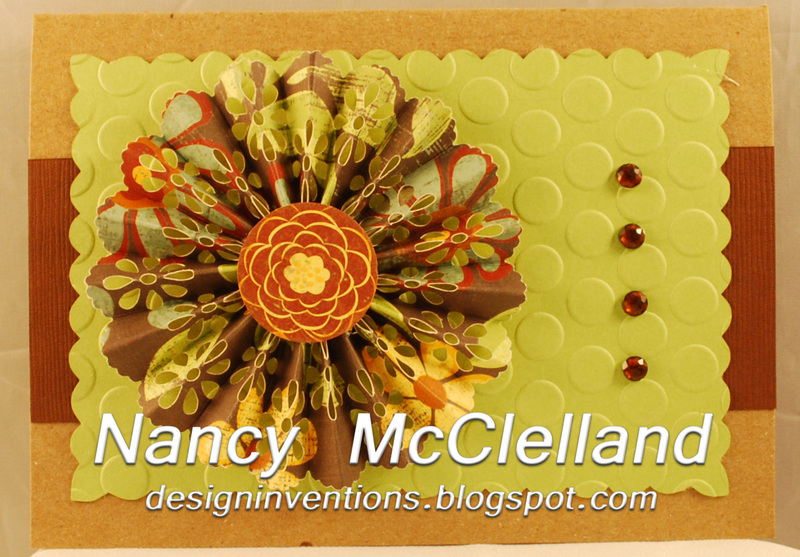 Today I want to share a couple of cards that I made with a new embossing folder. 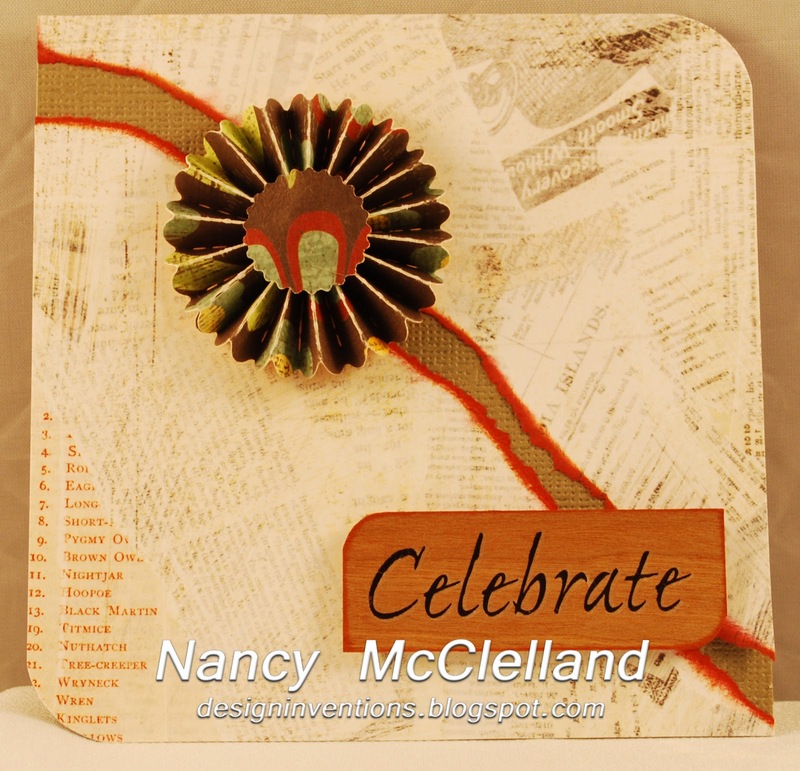 This is from a Tim Holtz collection and comes with 3 smaller folders. One of the other designers at All About Pictures wanted to purchase this set but really did't want this folder, so we decided to split the set between us and that made us both happy. Of course I used Ranger Distress Ink to color them up. This one to the left was also sprayed with Perfect Pearls. (it really doesn't show up in this picture). 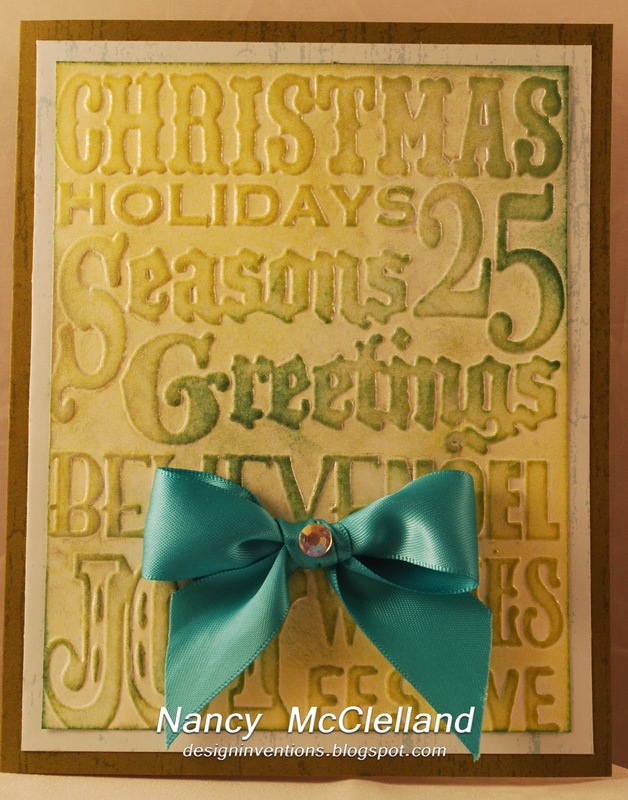 Add a bow, small sentiment then layer some papers and there you have a couple of easy cards. So I did a little house keeping this weekend and moved the fall crafting supplies into storage and pulled the Christmas boxes down. As I rummaged through everything I pulled a few stamps out and decided to just play a little with Copic Markers, Distress Inks and embossing techniques. 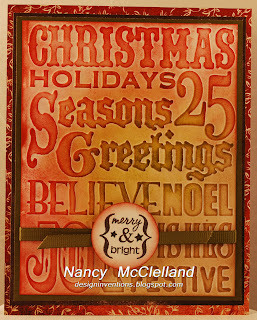 Today I want to share this Holiday ornament card that I colored with Copics. I used various colors to decorate the ornaments and put a little bit of gloss on some areas to make them shine. As you can see there's some bling and bows to finish it off. I hope that everyone had a great Thanksgiving. I am still recovering from eating way too much food, but it is now time to have a little crafting time and more relaxation. Many of you may be preparing for the Black Friday rush, which has been in swing several hours already for most of us. I lucked out and don't have to work tomorrow until 11:00am so I can stay up and play for a while tonight. I hope all have had a blessed day. 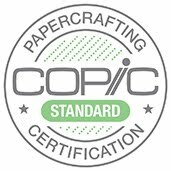 As you know I teach a Copic Class at All About Pictures here in Cedar Rapids. 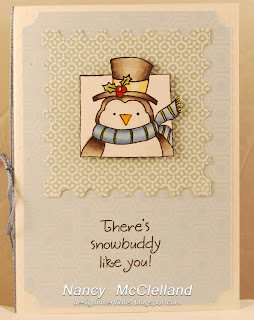 I offer a challenge card for each class to complete and bring back to the next month for show and tell. We share our creations then draw names for small prizes. 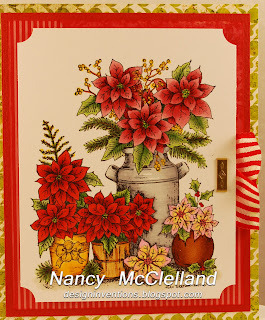 Well this Northwoods image is the challenge for December and I promised to post my card and put some of my marker choices online. I have colored the image twice using the same markers, just in different areas. Listed below are my colors and you should be able to determine where they all went by looking at the cards. The image may look difficult, but it really doesn't have a tremendous amount of blending because the areas are so small. I'm sharing another card in the Border Punch Series with you tonight. 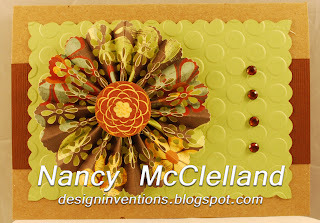 This Tim Holtz Die is a very popular item and comes with a single larger flower design or a die with 2 smaller flowers. I like the die with the 2 flower design because it seems to be more versatile for cards. 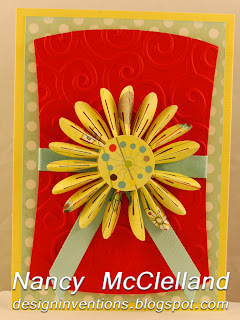 This is a simple design and highlights the fan flower, I hope you enjoy some of the basics I've been sharing. I wanted to let everyone know that I will be teaching a new class at All About Pictures here in Cedar Rapids. 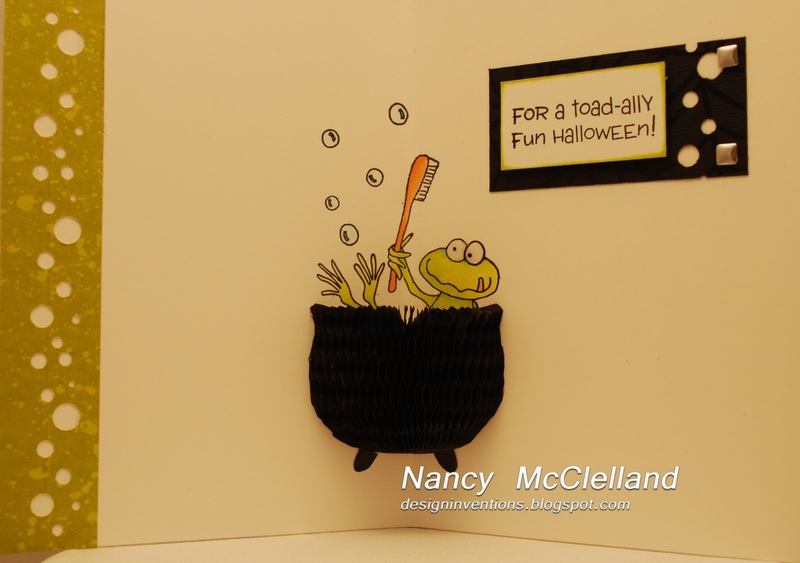 We will be featuring the ever so popular HoneyPop products from Inky Antics. 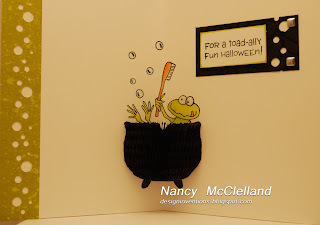 I have posted below the fun Halloween card made with HoneyPop and I will post the card that we will feature in the class soon. We will not be teaching coloring techniques for this class but you will need to bring your product of choice to color the images. Then I will go through the steps of how to stamp, cut and finish off the card. Please come join us Thursday, December 8th from 6pm to 8pm. You can call AAP to reserve a space. 319-364-4141. Hello everyone, I have a card to share that uses a basic border punch and the trusty score pad. This is a Martha Stewart punch that I used on the entire edge of a 12" piece of paper and then cut the strip 1 1/4" wide. Now I scored the strip every 1/4". When I do this I look at the punch and follow the shape of the design to determine at what intervals to make the score lines. I used a 1" circle on the bottom and top to help secure the paper after I have it fan folded. Strong adhesive is necessary in order to keep the paper from coming apart. I like to use the Gluber product on the bottom circle to help secure the flower as I shape it, then I use a hot glue gun to make sure it is completely glued together. Finally I place the other 1" circle on the top to finish securing the flower and adding a little fun to the center. You could embellish with gems, glitter or a resin shape. So I have no reason other than just not having enough time in a day. I promised more post but just didn't get it completed. I have one of my border punch series cards to share tonight. 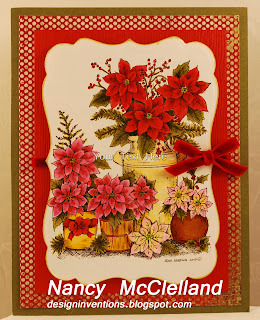 The punch used for the center flower is one of the EK Success border punches (find it here). 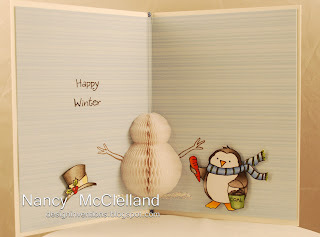 I used circles to secure the punched paper on the back and front. This provides a finished touch for the flower. 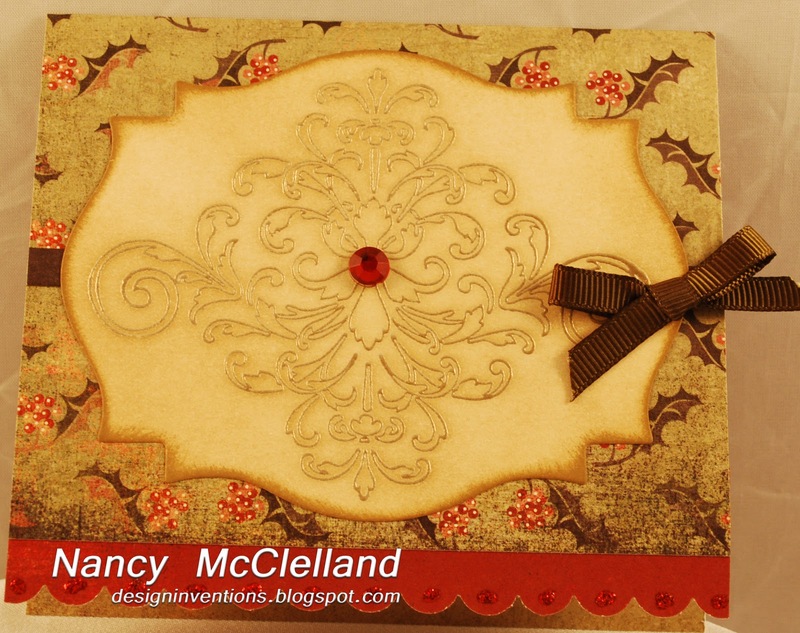 You can use matching or a coordinating paper. 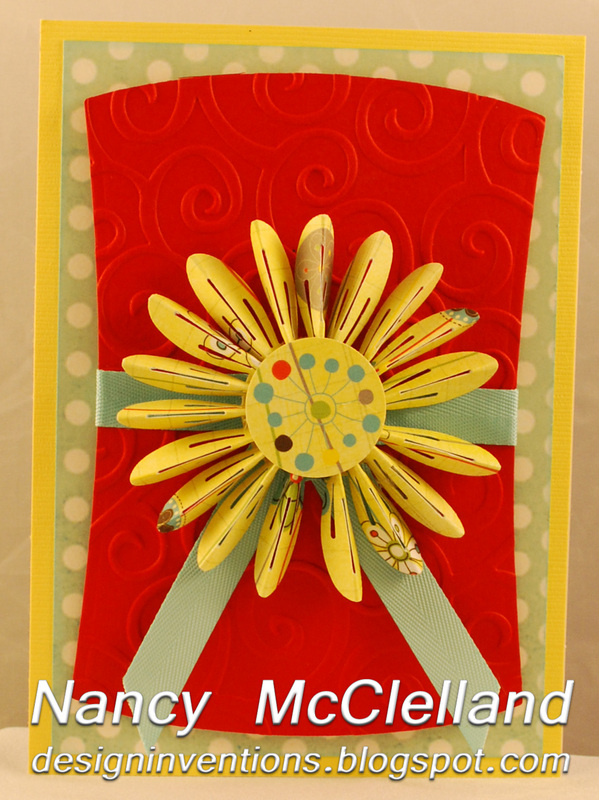 Cut a Spellbinders shape, emboss with that special Cuttlebug folder, pick some ribbon and you have a fun card.